"I believe this Galway team is the best left in the Championship. I also believe that an All-Ireland between themselves and this new youthful Limerick who boast the best squad in the Championship could make for a mouth-watering final." Croke Park was the venue last weekend for two of the best hurling matches we have seen in a long time, Limerick are through but their final opponents are currently unknown. What of the Galway and Clare game? The teams were level nine times and could not be separated in over 90 minutes of intense action. 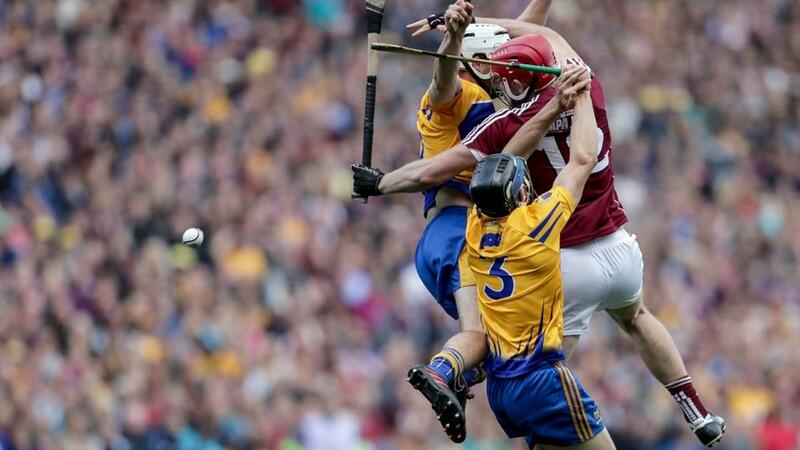 This championship seems to be redefining the game of hurling, with huge scores being racked up in matches, large leads being overturned in short spaces and the referees adhering to a 'let them play'napproach the engrosses and infuriates fans alike. Limerick are the real big winners this weekend. The surprise package of the season will be able to sit back and watch as two sides battle it out for a place in the All-Ireland. Usually when there is a replay you would argue that one of the teams were slightly lucky to get it to another outing, in this case it is hard to say which team that was but the argument can be made that much like Cork in Sunday's game, Galway should have got the job done in the 70 mins. They had a nine-point lead inside 15 minutes and were never behind. However, Clare looked stronger than Galway in the second period of extra time as several of Galway's star men headed off injured. A draw a fair result? Possibly. Thankfully now we get to see them go again. Which brings us to Sunday in Thurles and a sell-out crowd ready for more. Galway had a poor record in Semple Stadium for a long time, losing seven of eight championship games there between 2004 and 2014. They have turned that around in recent seasons though, winning their last three championship encounters at the venue. There are also question marks over injuries, it appears Joe Canning will be fit to start and that is massive. We all know how crucial the best hurler in the country is to Galway. The Portumna man, who scored 0-11, limped off the field during the drawn game after jarring his knee. In other good news, Daithi Burke (who had a strapped ankle during last week's game), Adrian Tuohy and Conor Whelan should all be fit for selection. The news does not look so good for Gearóid McInerney who appears to be likely to miss out. No word has come from the Clare camp of any injuries so the Banner appear to have a clean bill of health, something that many may feel tips the tie in their favour. I am not so sure, looking back on the game from last week I believe Galway will be very annoyed that they weren't able to get the job done. For long periods they were well on top of Clare, and it was only when Clare changed to a sweeper system that Galway failed to adopt. Galway have already proven they can beat any sweeper system in games against Waterford and Wexford last year and you must feel that complacency came into their head last week when they went up by so much so early. We saw something like that in the Kilkenny replay too where they let the Cats get back into it after building up a strong lead. It is a habit they will need to get out of. I believe this Galway team is the best left in the Championship. I also believe that an All-Ireland between themselves and this new youthful Limerick who boast the best squad in the Championship could make for a mouth-watering final. All things considered, you should still side with Galway on Sunday, even at 4/7. Looking at other markets, with the hurling currently producing some of the highest score lines we have seen it is worth a punt on the overs market. Currently at 54 on Betfair Sportsbook, and available to back at evens. Galway also have a nasty habit of conceding goals and not scoring a lot themselves, worth a small punt on one of the Clare forwards to get the first of the game, I'll go with Shane O' Donnell as he looked a real livewire in the first game.